As we all know that when we uninstall any software application from our PC we think that it is completely uninstalled but that's not the end. 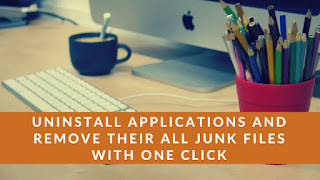 When a software application is uninstalled it's all other junk files are remained in PC so in this article i will introduce a software which completely removes the software application with its junks files so like this your PC got a lot of free space. Watch the video below to install that software.